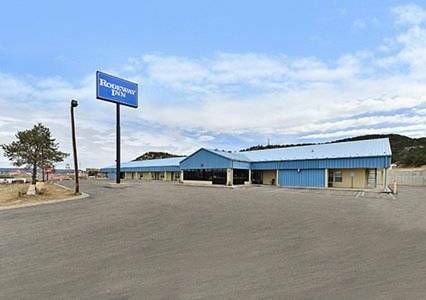 When all you need is a solid deal on a simple stay, the pet-friendly Rodeway Inn hotel in Trinidad, CO hotel is just what you are looking for. Our hotel is located right off Interstate 25 near Trinidad Lake State Park, Trinidad Riverwalk, Trinidad History Museum, Santa Fe National Historic Trail, Trinidad State Junior College and the Trinidad Golf Course. Visitors can also easily get to several outdoor activities, such as hiking, fishing and hunting opportunities. Enjoy amenities like complimentary coffee, microwaves, refrigerators, desks, TVs and select rooms with a view of the surrounding forest. Also, earn rewards including free nights and gift cards with our Choice Privileges Rewards program. This is a pet-friendly hotel. Pet accommodations: $15.00 USD per night, per pet. Maximum: 3 pets per room.